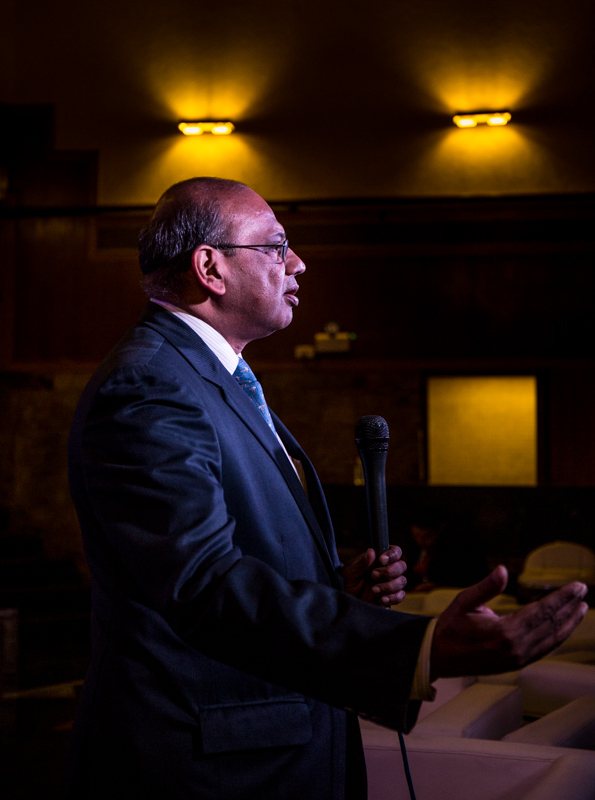 Anil Jain of the India Ministry of Environment, Forests, and Climate Change discusses the role governments can play in delivering imapct through clean cooking. The final day of the Clean Cooking Forum 2017 kicked off with an engaging discussion of how to best deliver large-scale impact through friendlier policies. 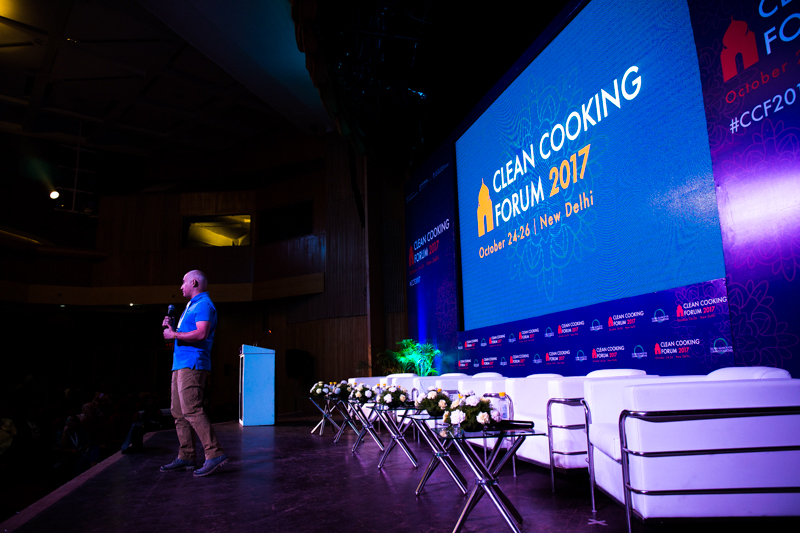 After a full roster of breakout sessions, #CCF2017 ended with a packed audience watching a group of passionate champions explain why they believe clean cooking is key to solving so many issues that plague developing countries. 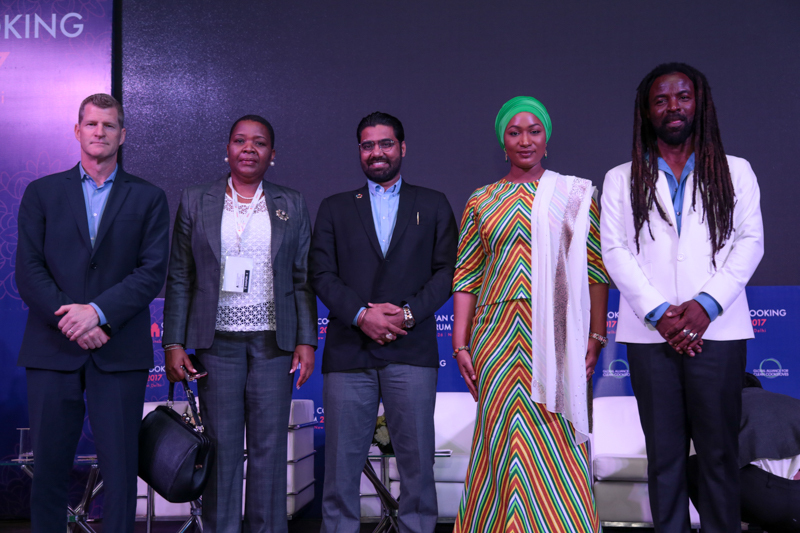 The opening plenary featured representatives from five countries, including Energia’s Sheila Oparaocha. 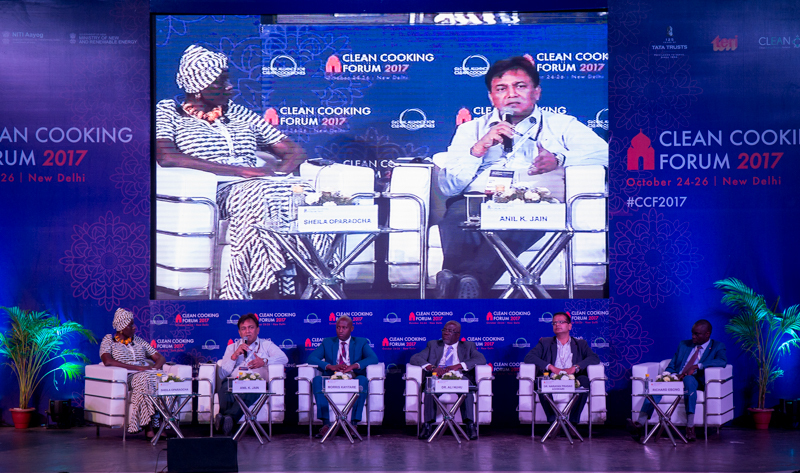 In the Opening Plenary, representatives from India, Rwanda, Ghana, Nepal, and Uganda discussed the role governments play in creating and expanding national clean cooking markets. Each of the countries has approached the challenge from a unique angle, whether from a policy model spread across multiple government ministries or with a more centralized policy model as in the case of Rwanda. Despite the differences in approaches, these national policies have seen significant success in driving demand and delivering impacts through the use of cleaner cookstoves and fuels. Urbanization is on the rise. There is a need to develop clean cooking policies not just for populations in the rural areas, but also for the urban poor. What is the role of the government? To give the consumers choices - real choices. Energy sources should be available to all the citizens of the country, across all the villages and cities. International Lifeline Fund’s Vahid Jahangiri talks about the sensitivities working in conflict-affected areas. 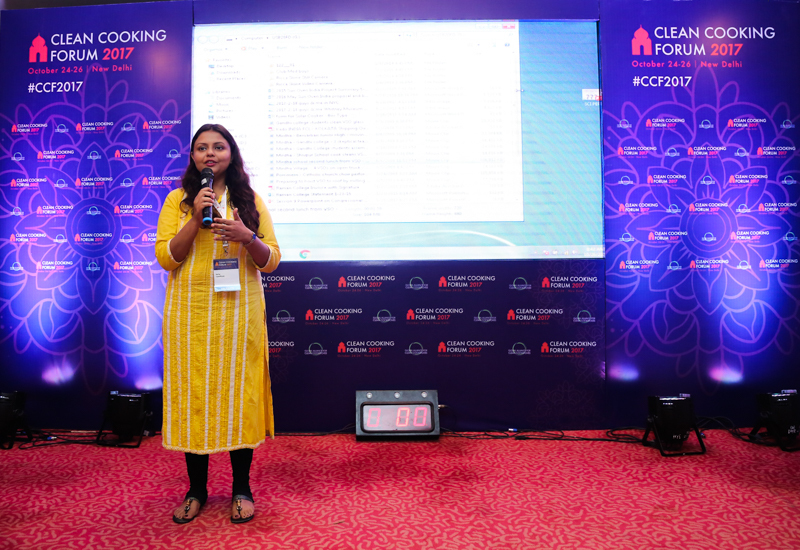 Continuing with these TED Talk-style discussions, three speakers shared their personal experiences and lessons learned in helping to build a market for clean cooking. Though they faced different challenges and created unique solutions, each issued a strong call to action on the need for improved market development and financing. Eric Reynolds, founder and executive director of Inyenyeri, emphasized the combination of cooking technology with the right business model as the key to success. Adwoa Sey of the Ghana Alliance for Clean Cookstoves called on national alliances to create school education programs that develop energy informed kids, which would enable them to make the right fuel choices down the road. Vahid Jahangiri, Deputy Director at International Lifeline Fund, powerfully reminded the audience that local context and appropriateness matters, especially in conflict-affected situations. After a year of selling stoves, Betty told me ‘Not only can I send all five children to school, but I can even buy home appliances.’ That’s impact. I started the journey thinking there was a magic stove - but there is no such thing. The stove and fuel and business model together is the key. They must be viewed in combination. If we can influence cohorts of students every year to understand the benefits of clean cooking, we can drive its adoption in the future. This engaging session, with panelists from Ghana, Kenya, Mexico, Bangladesh, India, and China, highlighted the growth in membership that National Alliances are experiencing and how it can allow them to reach a wider audiences. This also supports engagement with multiple government ministries and enables them to see a more complete picture of the challenges they faced. The Alliances agreed there is a common need to achieve sustainability, especially in funding. The best chance for this may be through a fee-for-service model in which a National Alliance provides a much needed service to the sector – training, advocacy, and/or consultation. Developing policy is important, but sharing it is paramount. CLEAN is a member driven organization. We answer to our members first, and our donors second. 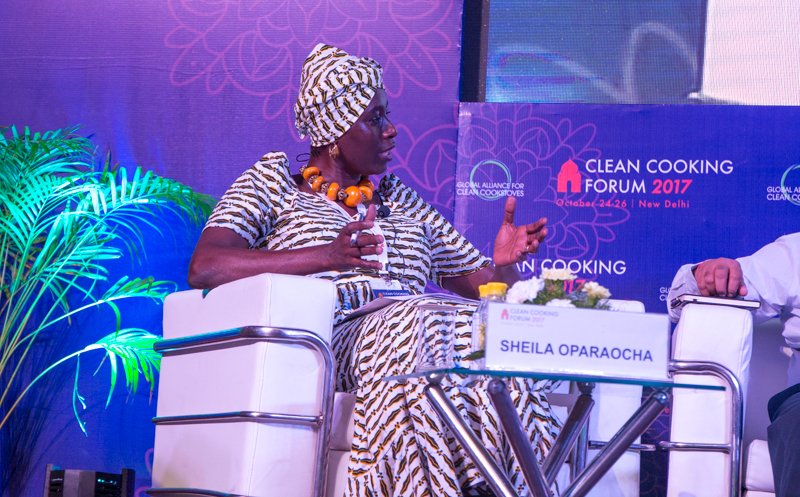 The final plenary of the Clean Cooking Forum 2017 featured a dynamic discussion on how those with influence can champion the issue of clean cooking to drive the market forward towards universal adoption. Panelists included individuals from governments, research institutions, well-known non-profits, the private sector, and the entertainment industry. Women’s empowerment and livelihoods improvement were a key theme, emphasizing the importance of reducing time in the kitchen and collecting fuel for greater educational and income generating opportunities and to prevent women from continuing to be left behind. While the sector has seen many challenges, panelists also helped show how far the sector has come and offered hope for continued growth, success, and sustainability. If you're successfully able to save these women's lives and you send them back to these hazardous kitchens, you’re really back at square one. I am delighted that words like ‘ecosystems for developing’ and ‘maintaining’ clean cookstoves and ‘issues on value chains’ are now taken as the norm. I remember when it was rather difficult to get people to give you the time of day when you talked of these things. In India our forefathers and foremothers have brought us up to believe in the concept that we're one family, and here we're one world, one cookstove family, all of us in pursuit of a shared complex goal. That’s a wrap for the Clean Cooking Forum 2017! 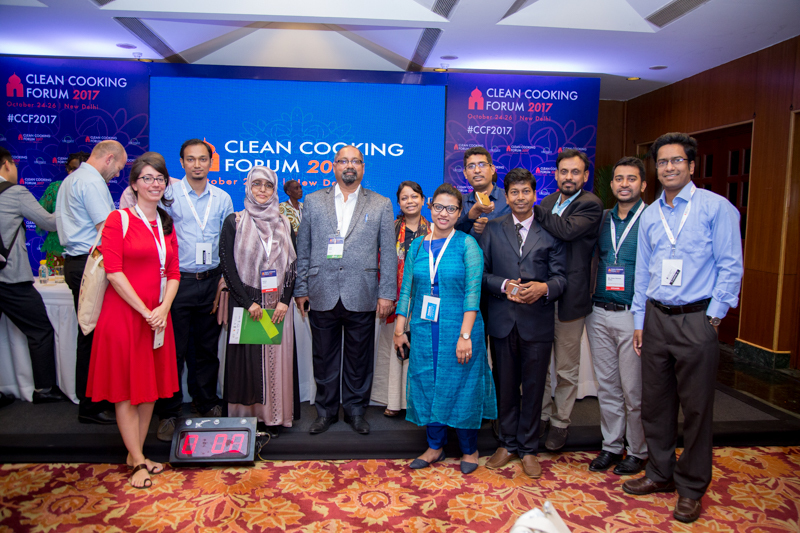 Thank you all for your participation the Clean Cooking Forum 2017 and for your continued dedication to solving the complex challenges our sector continues to face. We look forward to seeing you in 2019! Our journey continues.